Thanks to the CERTUS FLEX one-of-a-kind digital dispensing technology the days of tedious manual dispensing and error-prone dilution patterns are over. The CERTUS FLEX does this part of the job for you. Thus, you will reach higher throughput, which means higher cost efficiency. We give you a modular design in two basic versions, with 5 or 8 individually controllable channels, which can be equipped with different valves to facilitate ideal dispensing of substances with different physical properties. CONTACTLESS. NO CONSUMABLES. HIGHLY REPRODUCIBLE. The dispensing parameters of each channel are individually controlled by the intuitive and adaptable proprietary CERTUS CONTROL PC software and electronics. 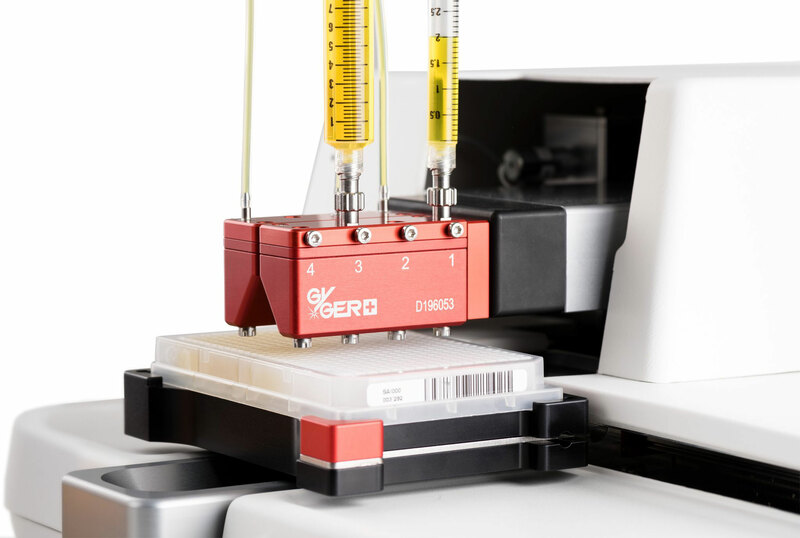 We have developed CERTUS FLEX for contactless dispensing of a broad range of liquid substances and large molecules, using our renowned Gyger micro valve technology and air pressure control, giving you maximum precision and flexibility. Thanks to the SiLA compliance of CERTUS CONTROL, you can rely on easy integration into your laboratory automation workflows such as HTS platforms. PERFECT PROCESS INTEGRATION. NO WORKAROUNDS. NO SHAKY INTERFACES. 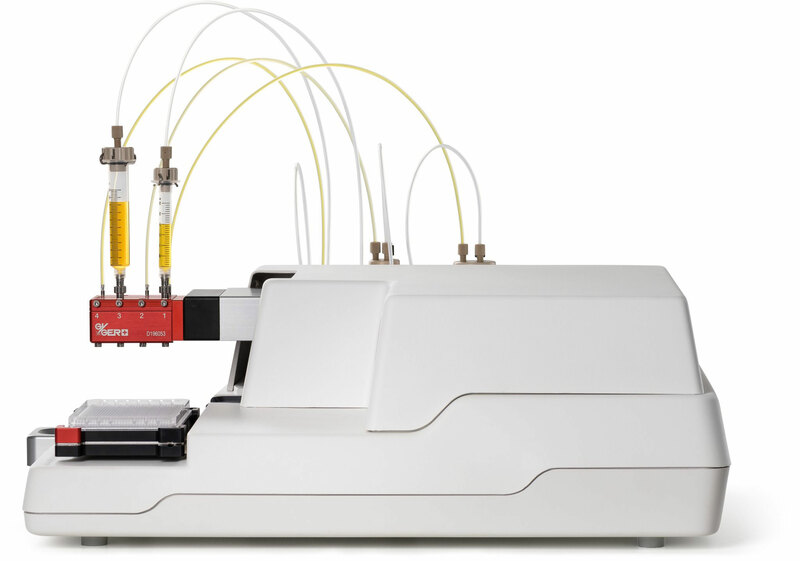 You need simple integration into your laboratory automation workflow and optimized interoperability. That is what CERTUS CONTROL enables you to do, thanks to certified SiLA compliance. 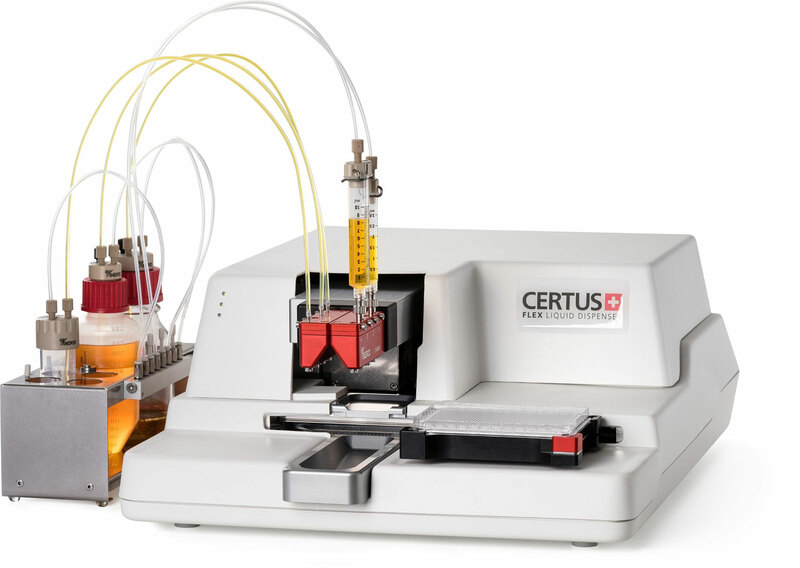 CERTUS FLEX gives you the immense flexibility to dispense fluids of low to high viscosity in individual, precise and highly accurate doses from nanoliters to milliliters. 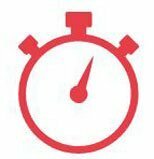 CERTUS FLEX dispensers are also equipped for high speed parallel dispensing. 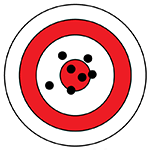 However, dispensing is also possible into a broad range of other plate formats (standard and custom), to meet your exact experimental requirements. Due to identical dispensing technologies between CERTUS FLEX and CERTUS HANDY (i.e. SMLD micro valves, digital control unit, dispensing principles, CERTUS CONTROL PC software) we can guarantee absolute comparability of your dispensing results. Over 500 million cycles without losing accuracy, that’s the performance of our GYGER micro valves. Our micro valves dispense larger substance volumes in one single shot, in contrast to many separate tiny drops. Bottom line: your number of effective valve movements is significantly reduced, giving you more total dispensing operations for your investment. In addition, cleaning and maintenance are simple and reduced to the absolute minimum. FLEXIBLE FLUID UPTAKE OPTIONS THAT MEET YOUR EXACT NEEDS. If large quantities of fluids are to be dispensed, fluids can be fed to the micro valves from bottles or other containers. 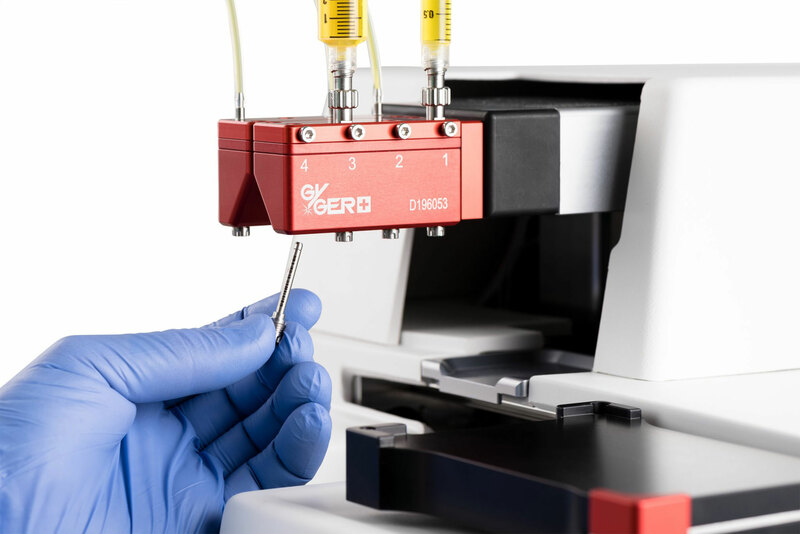 For the dispensing of smaller volumes or high value substances, syringes with volumes from 3 to 60 ml can be connected directly to the dispensing head using luer-lock. LIQUIDS. LARGE MOLECULES. HIGH AND LOW VISCOSITY. WE GOT IT COVERED. 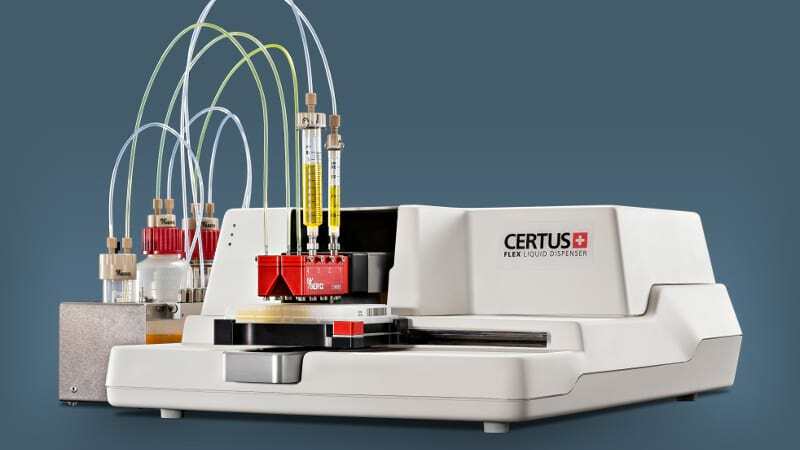 CERTUS FLEX has been developed for contactless dispensing of a broad range of liquid substances (such as aqueous buffers, alcohols, DMSO, solvents, detergents, cells, DNA/RNAi, proteins or oils) and large molecules, all with a focus on greatest accuracy. WE DEEPLY BELIEVE IN OUR PRODUCT, THAT IS WHY WE BUILT IT TO LAST. This is our promise: When you buy a GYGER dispenser you will hold in your hands an unmatched product, with the potential to last a lifetime. No cartridges, no disposable tips and no other hidden costs. 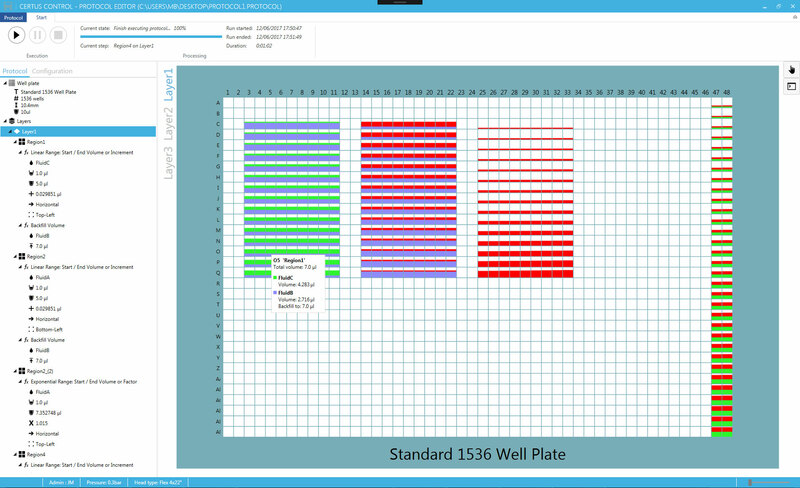 CERTUS FLEX comes with an intuitive proprietary software, which enables you to program multiple dispensing regions on any well plate format, as well as perform calibration and verification on each individual micro valve. 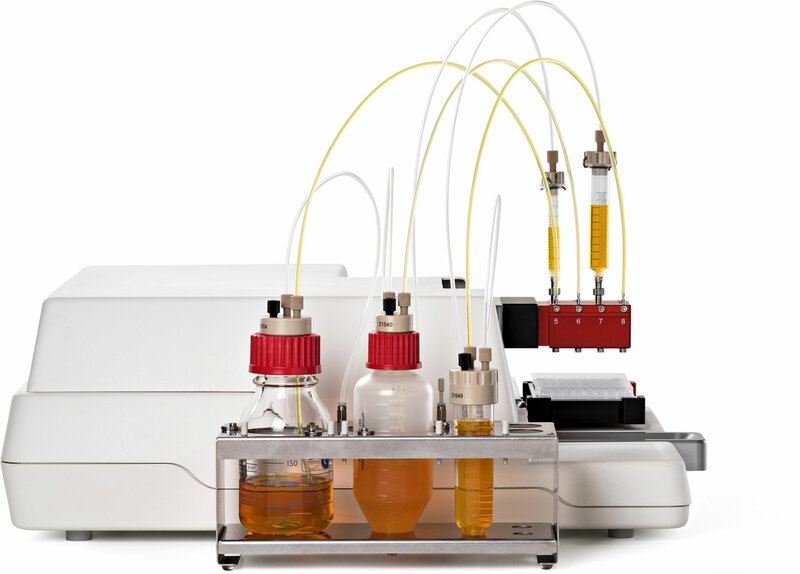 Furthermore it allows you to control and monitor both CERTUS FLEX and CERTUS HANDY liquid dispensing systems (single and multiple units) to transfer methods and experiments between them. Thanks to the Windows based user interface it has a familiar look-and-feel making it much easier to use. 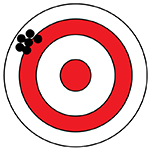 The software also permits automated detailed reporting of your dispensing experiments.